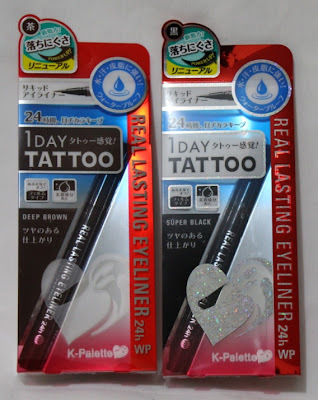 Ask me to name the best eyeliner for me and I would say "K-Palette" without blinking. It's one of the makeup products that I can't live without (you can check out my review here). With the improved formulation, it has a thicker and longer-lasting formulation that dries up easily and doesn't smudge. Wow, the original formulation lasts long already, how much more this one!? I noticed that the formulation is a lot pigmented too! Now, not everyone likes felt-tip liners. Some of us would still prefer eye pencils, as it provides them better control and it looks more natural. Well, good news...K-Palette now has eye pencils! My love for lining my eyes started with eye pencils, but since I discovered how a lot easier it is to use liquid liners, I switched. I hate the tugging that comes with using most of the eye pencils I've tried, and the fact that it takes me a lot longer than when I'm using a liquid liner. I want the same pigmentation that I get when I'm using liquid liners, but the fact that I can't use them on my waterline is something that still makes me long for the good 'ole eye pencils. And so, these eye pencils from K-palette is really heaven-sent! Also available in shades Deep Brown and Super Black, these eyepencils are cheaper by a hundred bucks (Php795). They are very pigmented, and well, also waterproof and smudgeproof. For some reason, the K-Palette 1 Day Lash Perm Long Curl Mascara didn't work for me. It weighs down my curls and it's the one thing I ultimately hate in a mascara. So when I got this package and saw this new version of the 1 Day Lash Perm, I was like "Oh no, not again!" But then I realized, I spoke too soon. This baby is my current favorite and have been using it ever since I discovered how good it is. It keeps my lashes curled and luscious-looking. A colleague even asked if I'm wearing falsies. 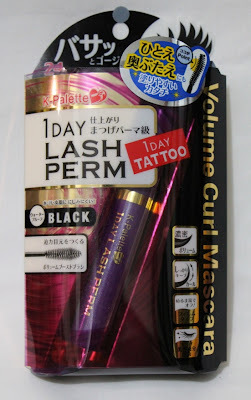 It is priced at Php895, slightly more expensive than the other brands of mascara I'm using, but I don't mind. It's really good and I can't wait to post my full review about it soon. And the best part about these new products is that they are infused with beauty essences that will take care of our eye area whenever we use them. Check out these new items in Beauty Bar and please follow K-Palette PH on Facebook. I just adore K-Palette! I started from using the eyebrow liner and then on to the eyeliner. May I know where you get your K-Palette loot? I get mine from Beauty Bar. But the last time I went there I didn't see any mascara. Thanks!